HÖEGH LNG and Mitsui OSK Lines have fixed long term time charter parties for two shuttle and regasification vessels with SUEZ LNG Trading. 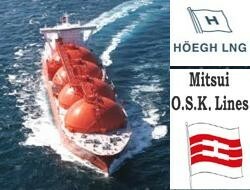 HÖEGH LNG and Mitsui OSK Lines have fixed long term time charter parties for two shuttle and regasification vessels with SUEZ LNG Trading. These vessels are specifically designed to service an offshore natural gas import terminal to be built in Massachusetts Bay offshore from the city of Boston on the US East Coast. The vessels will be delivered in 2009 and 2010. The SUEZ owned Neptune LNG LLC received the final license issued by MARAD for the construction of the terminal on 23 March 23. T Hoj, deputy Chairman at MOL, said, “The execution of time-charters of two SRVs for the Neptune Project has just opened a new page for MOL’s LNG transportation business. My appreciation goes to SUEZ and all other parties who have worked hard to make this happen. 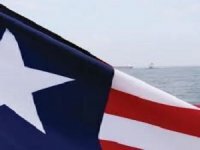 Liberia Becomes First Flag State to Join the Maritime Anti-Corruption NetworkLiberia has become the first ship registry to be admitted to the Maritime Anti-Corruption Network (MACN) as an associate member. Tan Beng Tee Awarded Honorary FellowshipTan Beng Tee, assistant chief executive of the Maritime & Port Authority of Singapore (MPA), has been conferred Honorary Fellowship of the Institute of Chartered Shipbrokers (ICS). 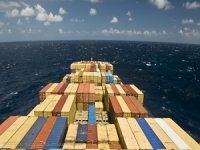 GSL, Poseidon Containers to Complete MergerUK-based containership owner Global Ship Lease and Poseidon Containers have completed their stock-for-stock merger creating a combined fleet of 38 ships. 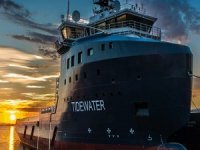 Tidewater and GulfMark Complete MergerHouston-based offshore support vessel owner Tidewater has completed its business combination with its compatriot GulfMark Offshore, creating an OSV player with the world’s largest fleet. Following the completion, Tidewater has appointed a new CFO. 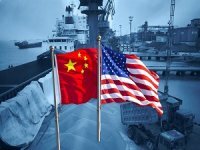 Maersk CEO: Ironic Twist in U.S. Trade War With ChinaThe man running the world’s largest container-shipping company says he has access to data that shows Donald Trump has so far failed to wean the U.S. off Chinese imports. 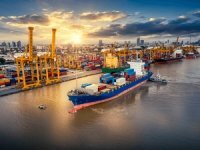 Shipping Industry Wary of Protectionist PoliciesProtectionist trade policies are continuing to spook the global maritime sector, although a newly released report suggests the industry has “cautious optimism”.